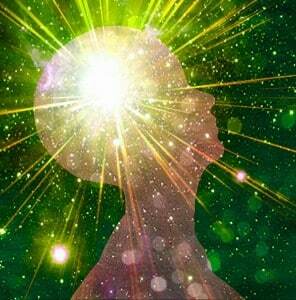 The Gamma state relates to expanded consciousness and spiritual emergence. Researchers discovered that Gamma was highly active when in states of universal love, altruism and the “higher virtues”. In particular, high Gamma activity was found during Buddhist meditation of compassion. 1 Olmstead R. Use of auditory and visual stimulation to improve cognitive abilities in learning-disabled children. J Neurother. 2005;9(2):49-61. 2 Noton D. Migraine and photic stimulation: report on a survey of migraineurs using flickering light therapy. Complement Ther Nurs Midwifery. 2000;6(3):138-142. Beta activity is quite important. In fact, many people lack sufficient beta activity, which can cause mental or emotional disorders such as depression, ADHD (Attention Deficit Hyperactivity Disorder) and insomnia. In meditation, Beta waves have been noticed only in very experienced practitioners when in a state of ecstasy and intense concentration. Gaia Meditation Beta programs are specifically designed to: stimulate cognitive functions, help for active concentration with high focus, improve emotional states and energy levels. * Profile Of Mood States – psychological rating scale used to assess transient, distinct mood states. 1 Howard CE, Graham LE, 2nd, Wycoff SJ. A comparison of methods for reducing stress among dental students. J Dent Educ. 1986;50(9):542-544. 2 Patrick GJ. Improved neuronal regulation in ADHD: An application of 15 sessions of photic-driven EEG neurotherapy. J Neurother. 1996;1(4)27-36. 3 Joyce M, Siever D. Audio-Visual Entrainment (AVE) program as a treatment for behavior disorders in a school setting. J Neurother. 2000;4(2):9-25. 4 Budzynski T, Jordy J, Budzynski HK, Tang H, Claypoole K. Academic performance enhancement with photic stimulation and EDR feedback. J Neurother. 1999;3(3-4):11-21. Alpha is also considered as an integral part of the relaxation process before sleep. In fact, when you get up in the morning and just before sleep, you are naturally in this state. When you close your eyes, your brain automatically starts producing more alpha waves. The Alpha state is also a relaxed state of consciousness essential for high levels of creativity. Prolific alpha producers are noted among artists, musicians, athletes and intuitive persons. 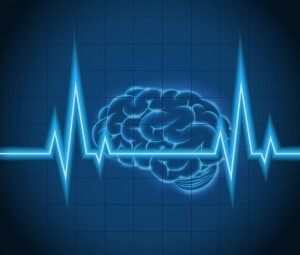 Alpha brain waves are the most prominent during meditation, particularly noted in Zen Meditation and in Transcendental Meditation (TM). Gaia Meditation Alpha programs are specifically designed to: induce deep relaxation, help for visualization and heighten creativity. With our Alpha waves programs, you can begin experiencing the benefits of alpha biofeedback training right now. 1 Nomura T, Higuchi K, Yu H, et al. Slow-wave photic stimulation relieves patient discomfort during esophagogastroduodenoscopy. J Gastroenterol Hepatol. 2006;21(1 Pt 1):54-58. 2 Williams, J., Ramaswamy, D. and Oulhaj, A., 2006. 10 Hz flicker improves recognition memory in older people. BMC Neurosci. 7, 21. 3 Ossebaard HC. Stress reduction by technology? An experimental study into the effects of brainmachines on burnout and state anxiety. Appl Psychophysiol Biofeedback. 2000;25(2):93-101. Theta is also a very receptive mental state that has proven to be useful for hypnotherapy, as well as for self-hypnosis using recorded affirmations and suggestions. Gaia Meditation Theta programs are specifically designed to: help induce self-hypnosis states, improve memory and advanced meditation. 1 Kroger, W. S., & Schneider, S. A. (1959). An electronic aid for hypnotic induction: A preliminary report. International Journal of Clinical and Experimental Hypnosis, 7(2), 93-98. 2 Le Scouarnec RP, Poirier RM, Owens JE, Gauthier J, Taylor AG, Foresman PA. Use of binaural beat tapes for treatment of anxiety: a pilot study of tape preference and outcomes. Altern Ther Health Med. 2001;7(1):58-63. 3 Faber, P. L., et al. “Scalp and intracerebral (LORETA) theta and gamma EEG coherence in meditation.” International Society for Neuronal Regulation, Winterthur, Switzerland (2004). 2 Solomon GD. Slow wave photic stimulation in the treatment of headache-a preliminary report. Headache. 1985;25(8):444-446. 3 Padmanabhan R, Hildreth AJ, Laws D. A prospective, randomised, controlled study examining binaural beat audio and pre-operative anxiety in patients undergoing general anaesthesia for day case surgery. Anaesthesia. 2005;60(9):874-877. At Gaia Meditation, we use the technology of Brainwave Entrainment in our audio programs (relaxation music, sleep music, meditation music…) to help you coordinate your brain waves according to your desired objectives. 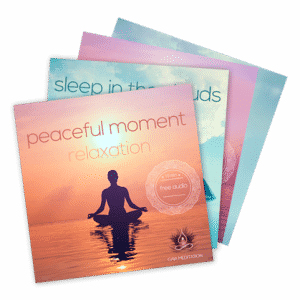 At Gaia Meditation, we favor aural stimuli with the utilization of specific frequencies embedded in audio tracks. Brainwave entrainment effectively pushes the entire brain into a certain state. It is a great way to lead your mind into states that you might usually have difficulty reaching, allowing you to experience what those states feel like. To be audible and efficient, isochronic tones must be above the frequency of 4 Hz.